I don't need a DNA test to tell me that I come from everywhere. Creoles are the original American racial m�lange of black and European - French and Spanish mostly - and frequently Native American. But this m�lange has hardly been celebrated. Instead, it was the measuring stick for the limits to which Jim Crow laws had to go to police racial lines in Louisiana and the wider South (see one-drop rule, tragic mulatto, Plessy v. Ferguson). Creole multiracialism has been viewed not as quintessentially American but as something that undermines what quintessentially American should mean. Both blacks and whites viewed Creoles with special contempt and more than a little suspicion, as if we were trying to join a club we could never belong to, because of our color. 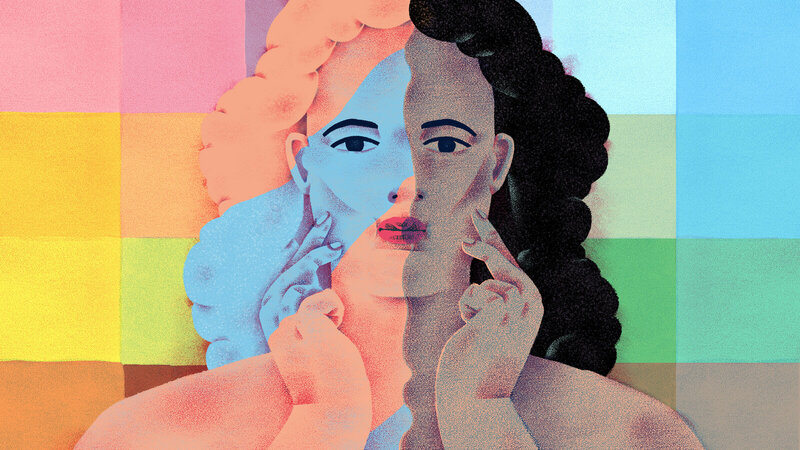 Erin Aubry Kaplan, "I Don't Need a DNA Test to Tell Me How Black I Am," The New York Times, April 16, 2019. https://www.nytimes.com/2019/04/16/opinion/dna-test-23andme-race.html. The most diverse, intellectually bracing show on network news was treated as expendable, and its host would not have it. She and her show will be sorely missed. MSNBC has parted ways with host Melissa Harris-Perry after she complained about preemptions of her weekend program and implied that there was a racial aspect to the cable-news network’s treatment, insiders at MSNBC said. Melissa Harris-Perry said she had received no word about whether her MSNBC show had been canceled. Melissa Harris-Perry said she was refusing to go on the MSNBC show she hosts this Saturday, following several weeks of pre-emptions and what she described as a loss of editorial control. In an email sent to people she works with this week, which was obtained by The New York Times, Ms. Harris-Perry said that her show had effectively been taken away from her and that she felt “worthless” in the eyes of NBC News executives. …Ms. 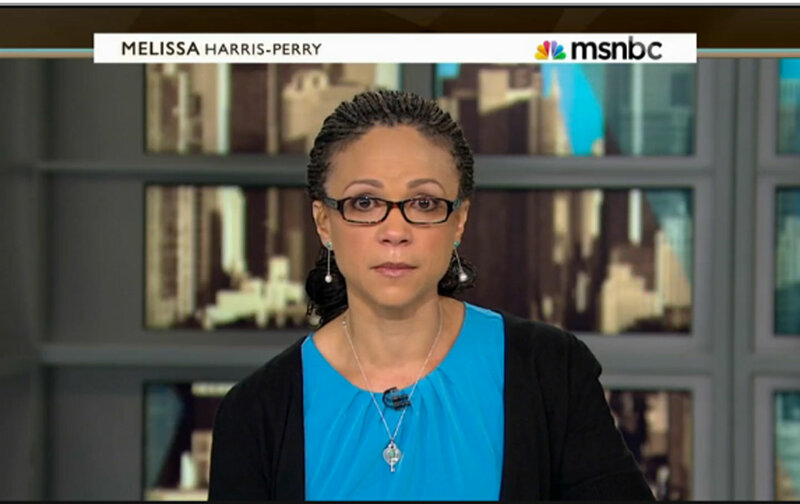 Harris-Perry is black, and Mr. Lack and Mr. Griffin are white. In the phone interview on Friday, Ms. Harris-Perry clarified her remarks and said she did not think race played a role in her recent absence from the air. Dancers Misty Copeland and Stella Abrera discuss their pioneering work as, respectively, the first African American and Filipino American principal ballerinas at the American Ballet Theater. Watch the video (00:07:46) here. In the history of high school drama, nerds tend to get the short end of the stick. While preferring to keep their noses buried in books, the academically zealous usually opt out of Mean Girl gossip and make social sacrifices to land 4.0 GPAs and clock in for extracurricular endeavors. But geniuses nationwide re-upped on cool points when Melissa Harris-Perry, host of the wildly popular The Melissa Harris-Perry Show on MSNBC, boldly and unapologetically claimed to be of the same ilk. While the Virginia-raised author, professor and public speaker is warm, funny and personable, MHP is no fool, often diving deep into topics of politics, art, race and whatever else the mother of two feels demands attention. And while Melissa proudly lets her nerd flag fly, she’ll also show off her cool side while dancing in her seat to hip-hop, R&B and other smooth tunes as the show goes to commercial break. VIBE called up MHP to discuss race, balancing life in North Carolina and New York, and the one thing women shouldn’t fear. 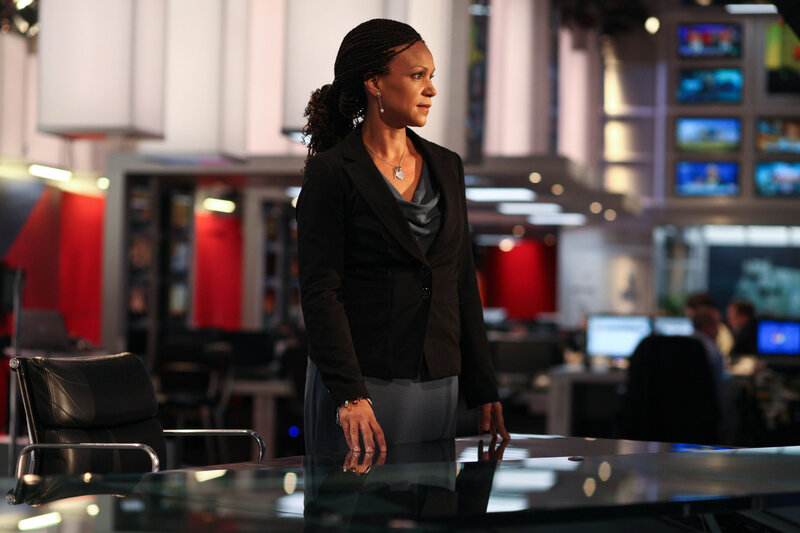 Political scientist Melissa Harris-Perry has developed a devoted following with her appearances on Bill Moyers Journal and Rachel Maddow’s MSNBC show, and her insightful commentaries on race, history, politics and culture in The Nation and elsewhere. Less well known among progressive activists may be that the self-described social-scientific data geek also makes a compelling case for a more powerful progressive religious voice in the public arena. On May 23 (in the midst of a very public debate with her former Princeton colleague Cornel West) Harris-Perry gave the keynote address at the Human Rights Campaign’s Clergy Call, which drew hundreds of LGBT-equality-supporting clergy to Washington, D.C. for inspiration, mutual support, training, and lobbying visits on Capitol Hill. I am an avid watcher of Melissa Harris-Perry, so I was not at all surprised–and was quite pleased–when host Melissa Harris-Perry tackled the subject of white mothers raising black boys in America in the wake of the George Zimmerman verdict. Prior to turning to her panel, the professor reminisced about her white mother offering a relevant (yet often overlooked) point that white mothers of black boys are confronted by the same realities as black mothers.